Today’s utility companies across the globe are facing unprecedented challenges, ranging from delivering energy, integrating distributed energy resources (DER), and dealing with an aging infrastructure. While some of the challenges and opportunities in the Indian market are different than what we see in Western Europe and the U.S., the underlying technology remains the same. 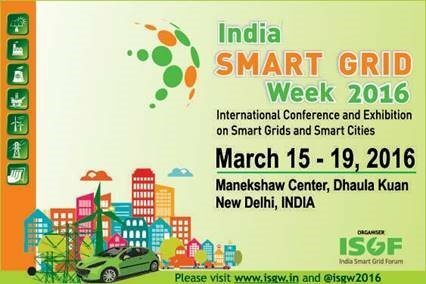 That’s why I am looking forward to the second India Smart Grid Week, organized by the India Smart Grid Forum (ISGF), coming up March 15-19 in New Delhi. With more than 200 members comprised of ministries, utilities, technology providers, academia and research, ISGF has evolved into a globally-recognized think-tank for smart grids and smart cities. A major area of focus at India Smart Grid Week will be the Internet of Things (IoT). Tapping into the power of IoT, Intel is meeting smart grid challenges head on by improving connectivity, visibility, security, and automation. At India Smart Grid Week, Intel will be showcasing numerous examples of how the Intel® IoT Platform can deliver innovations to market faster, reduce solution complexity and deliver actionable intelligence by offering a defined, repeatable foundation for how devices will connect and deliver trusted data to the cloud. All are accomplished in conjunction with our partners, as the Intel® IoT Platform is an end-to-end reference model and family of products that work with third party solutions to provide a foundation for seamlessly and securely connecting devices, delivering trusted data to the cloud and value through analytics. Many of my colleagues and I will be attending the event. Thierry Godart, general manager of Energy Solutions from Intel’s Internet of Things Business Group, will be speaking on Thursday afternoon. If you are attending, be sure to stop by the Intel booth to see IoT demonstrations and solutions relating to demand response and energy efficiency. We will also be showcasing Altera Smart Grid solutions, as FPGA’s have an increasingly important role to play in the development of grid solutions. The Intel booth will also be focusing on Active Grid Management, Market Optimization, Situational Awareness, Cyber-Security, Cloud, Analytics, Smart Metering Infrastructure, Smart Grid Communications and Mobile Energy Workers. We’re looking forward to seeing you in New Delhi and fostering conversation about the future of smart grid technology, with Intel Inside, Smart Grids Outside. Follow us on Twitter at @GridInsights for live updates during the event.